There have been many cyber-attacks in the past decade. With use of latest techniques and coding, hacking and cyber-threats have become much easy and common. The only thing with the evolution of cyber-attacks is that they have become more dangerous and threatening like never. They can take out any bit of information from the system if they need to. But, all we can do is sit and wait for it to happen. This is because we aren’t aware of the current computer viruses surfacing online in market. And we aren’t even aware of the practices that we should follow to stay safe and secure. 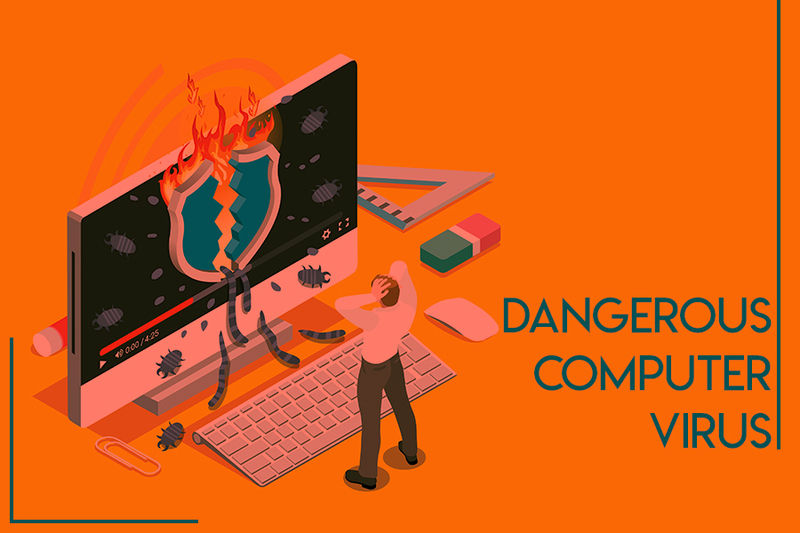 So, today, in this article, we will be talking about some of the most dangerous computer viruses and also about the latest computer viruses in 2018. And what are the practices and preventions that we need to follow before and after the attack. 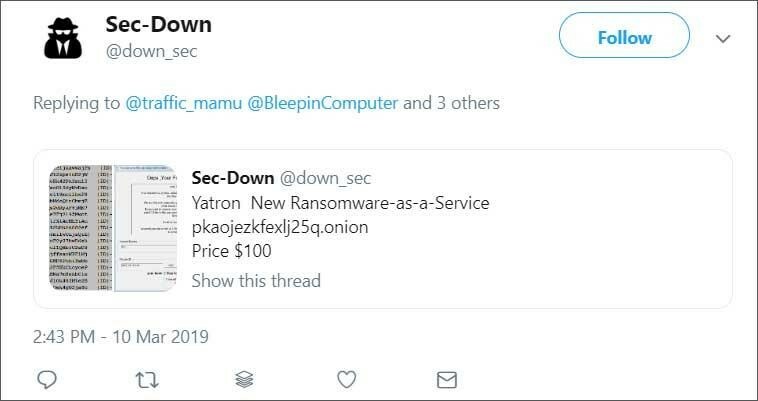 Latest Ransomware-as-a-Service called Yatron is being promoted on Twitter these data. This computer virus works like other ransomware and encrypts targeted files. IT spreads to other computer via EternalBlue and DoublePulsar exploits. Not only this Yatron Ransomware tries to delete encrypted files if victim fails to make payment within 72 hours. Apart from exploiting the weaknesses Yatron computer ransomware will try to spread through P2P programs by copying ransomware executable to default folders. First emerged in 2017 this latest computer virus has already targeted over 8000 systems. It is being used in spam campaigns across Europe and Brazil. This computer trojan spreads through .7zip file attachments and malicious links. Astaroth Trojan targets antivirus tools to steal username and passwords. GoBrut the latest computer virus is not technically sophisticated but can slow down the Internet and cause damage to thousands of computers. This computer virus is Golang based and uses brute force to spread itself on Windows and Linux machines. This malware can exploit a number of vulnerabilities especially the websites that still use weak passwords are on target. Not only this StealthWorker malware is also capable of updating itself. This computer virus also works as Ransomware-as-a-Service and it is being promoted on Twitter via underground hacking sites. This computer threat allows affiliates to gain access to a functional ransomware and payment server. Jokeroo started promoting itself as a GrandCrab Ransomware on Exploit.in. It is one of the most famous computer virus. Gandcrab is a ransomware spread through malvertisements, explicit websites, or spam emails, which leads the user to Rig Exploit Kit Page or GrandSoft EK page. Through these pages, Gandcrab makes an entry into users’ systems and devices. Once ransomware is active on the system, it starts to gather user’s personal information such as username, keyboard type, presence of antivirus, IP, OS version, current Windows version etc. Dangerous computer virus Gandcrab makes its next move on the basis of information collected. After which it kills all tasks & processes running on system so that it can start encrypting the data and files present in system. It then generates public and private keys on user’s system, which are then forwarded to C2 server hosted on .bit domain. As soon as the key is delivered it starts its process of encryption by using public key generated and adds ‘.GDCB’ extension to all encrypted files. After this, it sends a file containing ransom message on the user’s system in return for decryption of their data. The name of the file with ransom message is ‘GDCB-DECRYPT.txt’. – Regular backup of important data and files. – Update operating system and applications. – In case of attack, try using ransomware decryption tools. This is one of the worst computer virus that has several variants with different functionalities. This trojan reaches the system through a file dropped by other malware or by exploit kits. It activates as a service and enables processes on the system pretending to be a legit or authentic software. Glupteba directly communicates to IP addresses and ports to collect user’s information. It diverts the traffic and users towards various unknown domains such as ostdownload.xyz, travelsreview.wo, rldbigdesign.website, sportpics.xyzkinosport.top. – Enable web and email filters. – Restrict macros in Microsoft Office products. This is one of the top computer virus in the form of a malware & adware dubbed as ‘Kuik’. It acts as legitimate Adobe Flash Player update by masking itself. This dangerous computer virus comes with three modules that are legitimate flash player, certificate and .exe file named ‘upp.exe’. Once the virus enters in system, it communicates with all established network interface and adds the DNS 18.219.162.248. After this, it starts collecting personal information and data from the user’s system and forwards it to the hosting domain ‘kuikdelivery.com’. As soon as the information reaches domain server, it activates various other malicious tasks on system that also includes chrome extension from unknown sources, coin miners, etc. – Enable authentic antivirus and spyware. This latest computer virus is mostly active in Asian countries. Magniber is spread through malvertisements, infected websites that redirects user to Magnitude exploit kit page. It is the oldest serving malicious browser toolkit that is still in use to distribute the ransomware. As soon as Magniber enters into the system, it starts encrypting the data and files with the use of a unique key. Once encrypted, it adds the .dyaaghemy extension to all the files encrypted. – Regular backup of data and files. It’s a new computer virus named ‘Thanatos’, which is distributed through malvertisements, spam emails with malicious attachments and file types, etc. This is very similar to most famous computer virus that is ILOVEYOU computer virus. The most complicated part is to decrypt the data been encrypted by this ransomware. This is because, it generates different keys every time for encryption and does not save these keys anywhere making it difficult to recover. After this, it drops payload in user’s system in form of .exe file or .txt file, which is set for auto run and opens every time the system is restarted. This payload starts encrypting files and add ‘.thanatos’ extension to encrypted files. Soon, user receives a ransom pay message on its system. – Disable macros and Activex when using MS Office products. – Keep a regular backup of data and files. This latest computer virus is very much identical to top computer virus Zeus banking trojan malware. It’s a malware that uses web to inject malware and to steal users banking information and credentials. It basically is distributed through exploit kits, such as Ngler exploit kit, Nuclear exploit kit, and Neutrino exploit kit. Not only from exploit kits, this is spread through social networking sites, spam emails, and adult sites as well. After getting installed on system, it starts searching for the information such as antivirus, spyware, username, password, etc. This information is passed on to C2 server. And, once this is done, it starts to steal banking credentials, transaction information and other info as well. So, this was all folks! This is the list of some of the most dangerous computer viruses in 2018. Follow all the necessary web practices and preventions to stay safe and secure. And in case you find some loophole, make sure you report it to you service provider as soon as possible.